K cheers. I assumed from paulbu’s post he had moved from a 330 to a 340r saloon but maybe not. Or maybe he had a 330r hatch which just came with the power upgrade & wheels and not the other 330s goodies. My hatch was a 2010 with the free PPP upgrade or 330R as they were termed. Needed the key to start it. Was it just the PPP the 330r got over standard or different wheels as well? Same 18" five spoke alloys as 330S, in fact external appearance identical to 330S. For a car with a £4k premium over the standard Sti, I'm surprised that the 330S didn't have front fogs and splitter fitted as standard. Not really louder just has a better rumble and grunt! What a to$$er this guy is. A case of "drive it like you stole it". Not exactly a "blown engine" (intercooler hose popped) but hey "have you got some beers". Wtf is with the left hand only on the wheel at 1-2 o'clock. Wicked innit. like you'd be laughing after twatting up your car. ok so i found out the cost of the Carbbon Bonnet from Chargespeed its 1250 quid GULP!!!. Whats the differance in the 2 models, whats FP mean ? I don't think I have ever seen a plasma blue hatch for sale? I fancy that black Zunsport lower grill that some have fitted to plug that big gaping hole in the front of the car. Is there any drilling involved during fitting and does the front bumper need to come off ? Also, how long does the job take ? 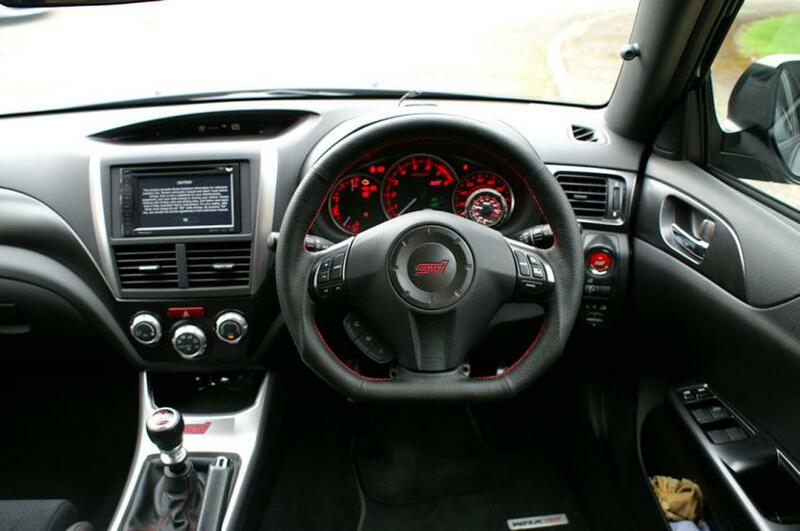 I do like the MY11 cars but why did they fit that horrid looking radio, they could have at least fitted the JDM surround to try and make it look a little OE rather than an ebay spacer! 3 small holes in the lower edge to accept pins fitted to the grille. About half an hour as long as you measure correctly. The "Horrid looking radio" is the FREE Pioneer 320BT sat nav upgrade, part of the 320R package. The OEM radio fits the surround correctly as its an oversize double DIN. Thanks, Don. So I can expect my local garage to charge me no more than one hours labour. I don't trust myself with a drill. Last edited by Don Clark; 11 April 2012 at 12:32 PM. 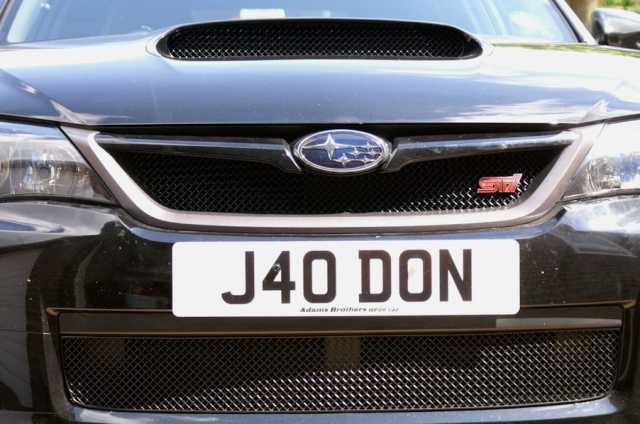 The JDM panel is the same as the OE UK one though but with a narrower hole to accept a standard size double din unit, looks much nicer that the Subaru/Pioneer fitting kit and for the price of a UK STI should be standard. It's not that expensive for us to order from Japan so must be even less for IM! As have been mentioned the upgrade was Free and most wanted the power upgrade. Yours does not look too bad Don, however the one in P1's link has a different radio altogether which is pig ugly.